to love other people as we love ourselves. It is as simple as this – and yet the most challenging way to live. Our foundation beliefs are expressed in the Apostles’ Creed and our own Statement of Faith which is based on our confidence in the reliability of the Bible as the Word of God to all people. All our teaching seeks to be true to these beliefs and to help people to understand them and live them out in practice. 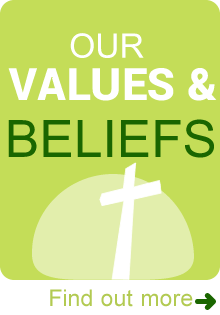 We believe that a strong foundation is the key to growing in the Christian faith. Our Membership Course will give you a simple introduction to these beliefs and lay this strong foundation in your life. 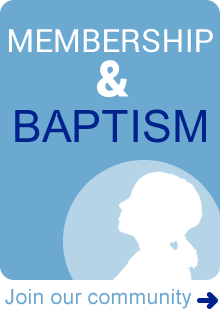 You can find out more about this on Membership Course and Baptism. The incarnation of the Son of God, his virgin birth, essential deity and perfect humanity. His work of atonement for all sinners through his death on the cross, his bodily resurrection from the dead, and his eternal role as Prophet, Priest and King. His second coming. The justification of the sinner through faith alone in Jesus Christ alone by grace alone. The person of the devil and his opposition to God and his saints. The work of the Holy Spirit in the conversion and sanctification of the saints; his ministry in the church today, distributing his gifts to all saints, as he wills, to equip, empower and enable them for ministry. The eternal security of the genuine born-again believer, the natural immortality of the soul, the resurrection of the body and the conscious punishment in hell of all who die impenitent. The nature of the ordinances of believers’ baptism and the Lord’s supper until his return. 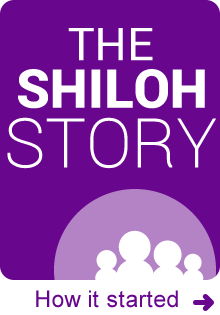 The restoration of the Jewish people. The priesthood of all believers and the commitment of all saved persons in the church to live soberly, righteously, and godly in this present age.